Free car parking spaces around EPIC area Where indicated in dark blue in the map. There are a number of public bus routes that service EPIC. The bus stop is in front of the main entrance of EPIC. 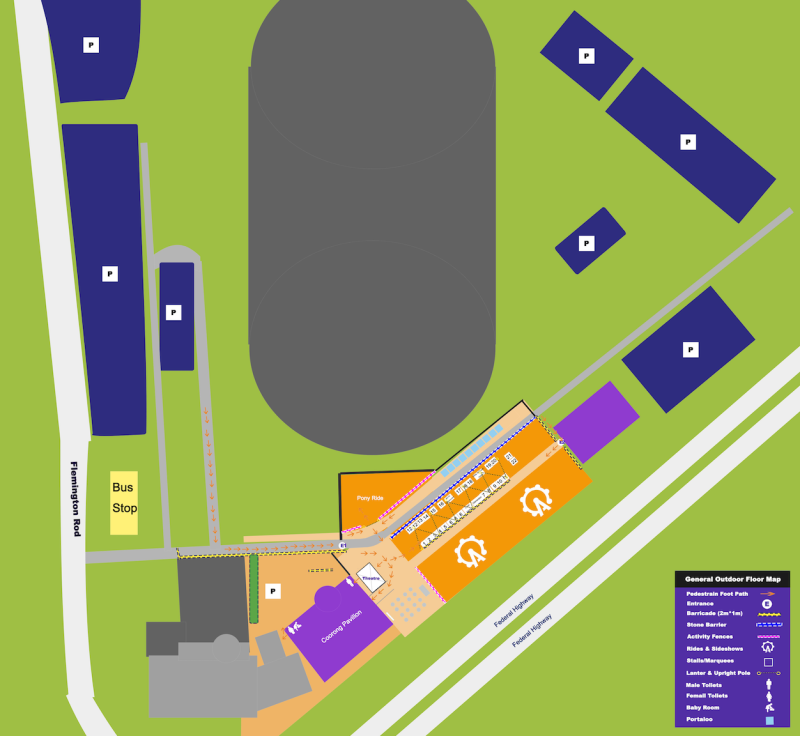 There is also a taxi pick-up and drop-off area located at the main entrance gates off Flemington Road. To contact Canberra Cabs, call 132227. Comfortable outfit, cash or debit card. Food & beverage , an amusement park with adult and kids rides, games with prizes to win, horse riding, face painting, traditional activities , wishing tree and well, onstage performances , ATM and toilets.